I finished the needle punch! The image is cute, however there was not enough thread in the colors to be able to make it look like the picture. The boarder is supposed to be dark grey background but as you can see, there was only enough to do the right side. I then used what was left of the other two greys (used in the cats) to fill in the rest of the boarder. I have not cut the fabric yet as I don’t know what I am doing with this yet. I have a few more ideas for pendents that I want to try later when I have more time. I also need to find a proper circle cutter, the one I have doesn’t work very well. And I made this for a woman I work with. She said she loves it so it made me all happy. So last night I whipped up this Totoro and also practiced some french knots. Right now I’m trying to decide on if I should fill him in or not. Here is what I have so far on my second punch needle project, a skull. 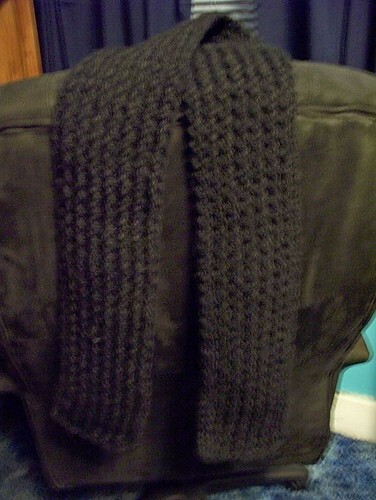 I don’t have any white thread at the moment, so just the black so far. It’s much neater than my first one on the back and it’s going easier too. I got this done pretty fast too. I just ran into some tiny knots of doom with the other threads while trying to separate them and ended up throwing out the little bit that was left because it got ruined. I need to find a way to separate the threads when there are only a couple left. That’s when they tangled. I had no trouble when there were more together, but they really twist up when there are only two or three. I’ll learn! Here is my first finished piece. Simple and I only have two colors at the moment, but I like it.